When I first heard of Cambodia, the only thing that came to my mind were temples. After all, it’s home to the largest religious monument in the world, Angkor Wat (p.s. they also filmed a scene from the movie Tomb Raider here!!). But, after doing some more research, Cambodia had all of this and more to offer up. So, Katie and I packed our bags for 5 days, on a mission to visit 3 cities across the country (we like to be ambitious). A short flight of roughly 2 hours from Singapore, we landed in the capital city, Phnom Penh. We gathered our belongings and were heading off to grab a taxi when something very familiar caught our eye at the airport… Dairy Queen!!! It was oddly exhilarating to see a North American food chain and with the hot temperatures in Cambodia, ice cream is never a bad idea. 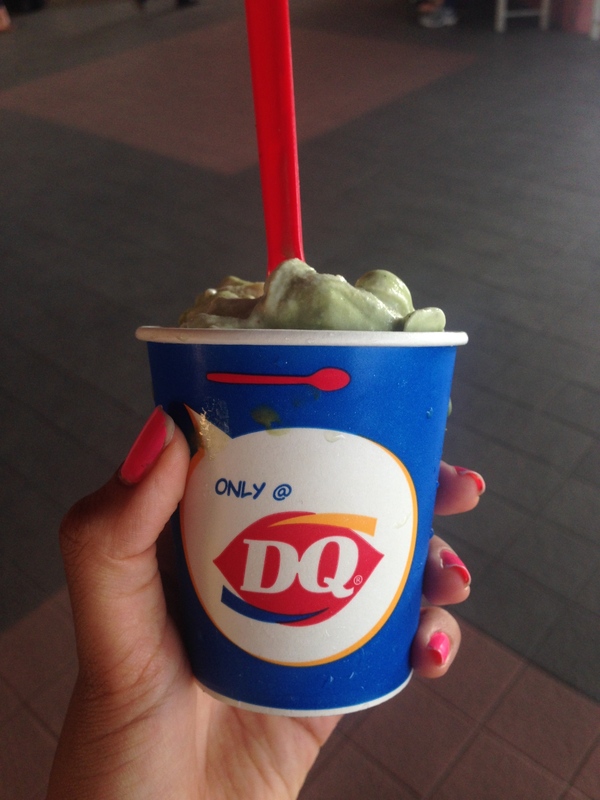 BUT the best part of it was that the Dairy Queen had all sorts of exciting and different flavours from back home. As a sucker for green tea flavoured anything, I got a matcha green tea and Kit Kat blizzard. It was the best blizzard I’ve eaten in my life (Sorry cookie dough, I’m usually a loyal fan). After cooling off with some ice cream delight, we went off in search of a taxi. But we soon learned that there was a most more cost-effective and popular way to get around in Cambodia… A Tuk Tuk!! A Tuk-Tuk is pretty much a motorcycle that has a cart with seats attached to it, so the motorcycle can pull passengers. But, the seats are extremely cushioned and soft, and some carts are even decorated with flowers or in their own unique style. 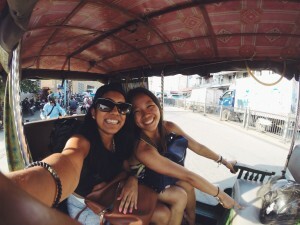 Tuk Tuk rides are our new favourite! We took the Tuk Tuk into the main city area and headed off to grab some food. We specifically wanted to eat at a restaurant called “Friends.” The restaurant is a one of many across Cambodia and more recently worldwide, that’s run by the social enterprise, Friends International. The organization is dedicated to saving lives and ending what’s know as “orphanage tourism” in Cambodia. Working with street children and endangered youth (i.e. youth dealing with drug abuse, HIV, abuse, in prison), they provide educational work opportunities to train these kids to work in a public sector and help them build a career in something they enjoy doing. The organization provides over 60,000 at risk children and youth with help each year and supports them in becoming a larger part of society. You can read more about their work, here. 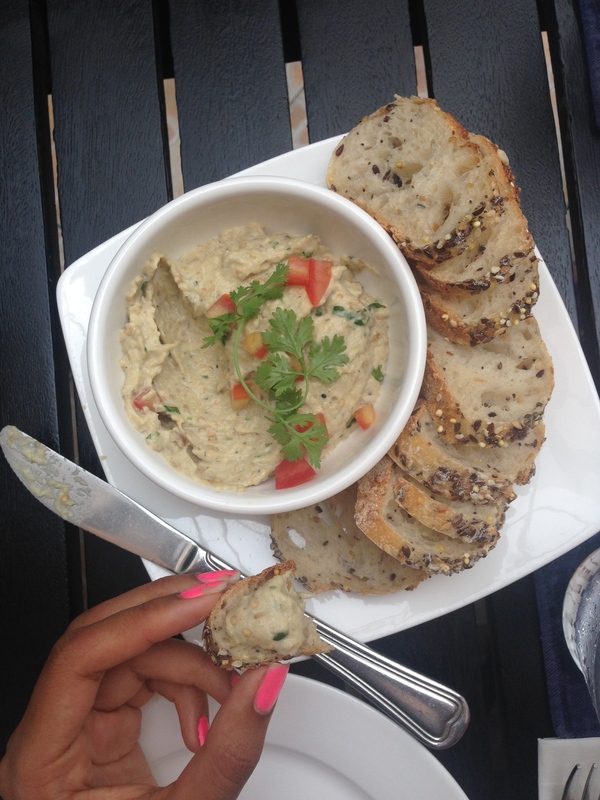 Eggplant Dip, one of the many yummy dishes served up at the Friends restaurant. Knowing that eating here was supporting a good cause made my tummy and my heart feel good (Also, their food is BOMB!!). We also checked out their retail store right beside the restaurant, where they sell handmade goods and unique products, with all profits going towards the organization. We ended up buying a bunch of souvenirs there, because the stuff was not only nice, but it just made more sense to support the cause. We spent the rest of the evening walking around the city, until around 9:00 p.m. when we got on our overnight bus to Siem Reap (where the temple complex is!). Now, I’ve mentioned before how awesome the buses are in Asia. But this bus takes the cake. It had BUNK BEDS as the seats. You could take a full, comfortable night’s sleep and not even know you were on a bus! Bunk beds… on a bus!! Although not the capital city, Siem Reap attracts the most tourists because it is home to the world famous temple complex. Angkor Wat is commonly referred to as the eighth wonder of the world and is the most incredible ancient structure I’ve seen in my life. The complex is huge, so it’s best to get a Tuk-Tuk to take you around for the day. I also recommend visiting the temple complex early in the mornings (for sunrise and then a couple hours after) and for sunset and later into the evening, especially because the heat is intense and you can easily get exhausted. We were picked up from the bus station by a Tuk Tuk sent by our hostel. The guy even held up a sign with my name on it at the bus stop, it was so cute. 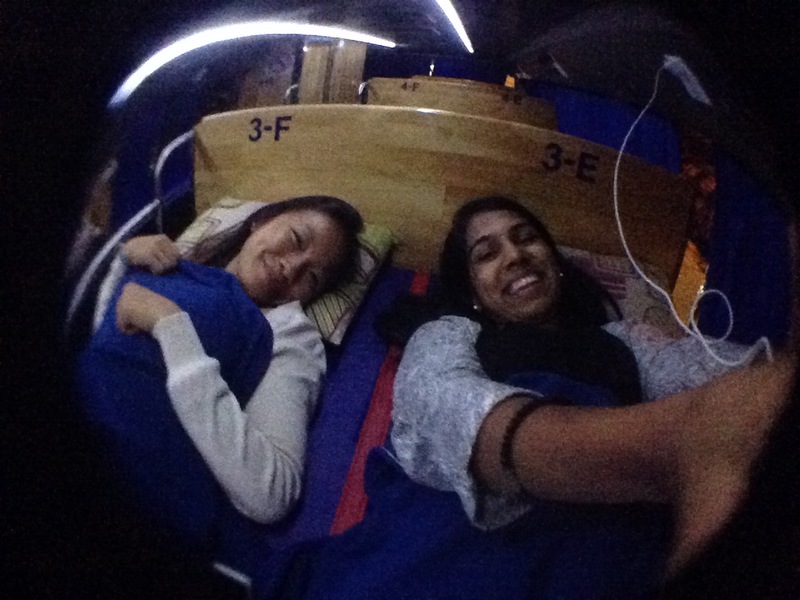 We were staying at The Siem Reap Hostel and it was fantastic! They had a huge pool, a buffet breakfast and it only ran us $10 per night. Pretty sweet deal if you ask me! We spent the rest of the afternoon exploring Siem Reap, grabbed some fresh smoothie shakes off the street and ate local Cambodian food. Crocodile Pizza, which looks a lot like ground beef. The next day was temple exploration day. 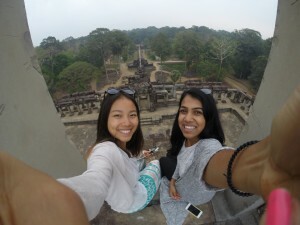 For sunrise, we went to the Baphuon Temple. 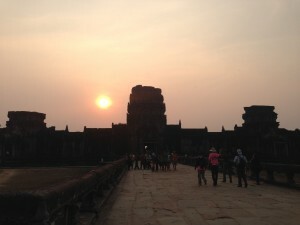 Angkor Wat is normally the popular sunrise spot, but we heard from multiple people that it gets really crowded because of the amount of tourists. I mean, we are tourists ourselves, but sometimes it’s nice to kind of get away from where the crowd goes. And guess what, we were literally the ONLY people at the Baphuon temple. The sky was a bit overcast, but the only sounds we heard were the slight buzz of insects and chirps of birds. Other than that, it was complete silence and serenity and it was a really humbling moment. We later went on to explore a few other temples, including Angkor Wat, where we watched the sunset. 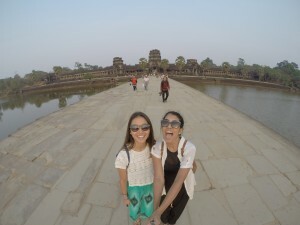 Hanging out at Angkor Wat, can I get a WAT WAT!! And we didn’t just settle for any ordinary street bugs (because we were also warned about the sanitary precautions with street-food). We went for the real deal and visited Bugs Cafe for dinner – an insect tapas restaurant. Bugs Cafe was founded by a Frenchman who moved to Cambodia when him and his cousin saw a business opportunity. They opened up bugs cafe to show people that insects are delicious by cooking up savoury, sophisticated tapas in a fusion of French and Khmer (Cambodian) cuisine. We ordered a discovery platter, which came with wild insect springrolls, a tarantula donut, a mediterranean feuilleté with ants, a cricket and silk work curry, and last but certainly not least, an insect skewer with veggies, a grilled Tarantula, scorpion and waterbug. (Note: This is not a joke I swear). After the first few bites, I started to forget I was eating bugs and really enjoyed the food. It was honestly delicious and really well flavoured. If you blindfolded me and made me eat it, I would hands-down eat the meal again. 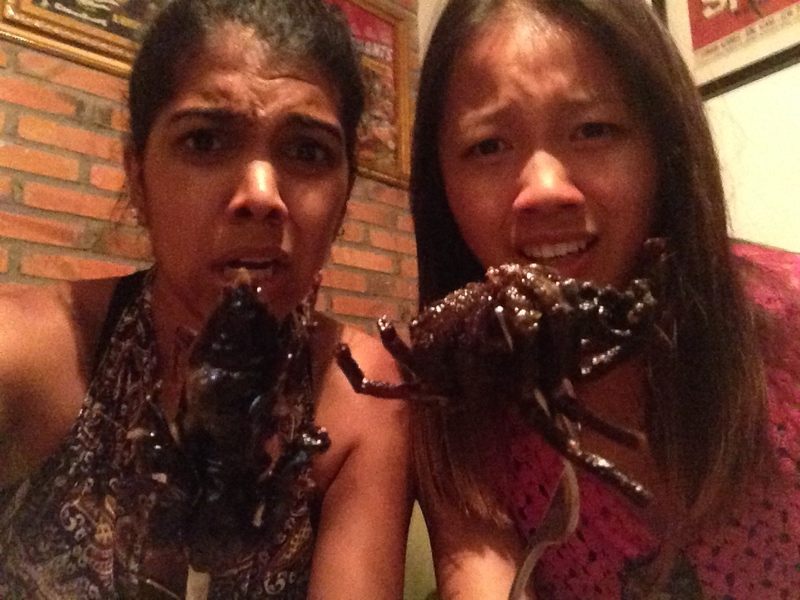 The only part I’m not sure I would re-live was the skewer of tarantula, scorpion and water bug. I can’t say much other than it was really crunchy, crispy, and I definitely could taste the hairs on the tarantula’s legs… The scorpion was extremely bitter and I wouldn’t personally eat it again. But all in all, I’m really happy that we went through the whole experience. 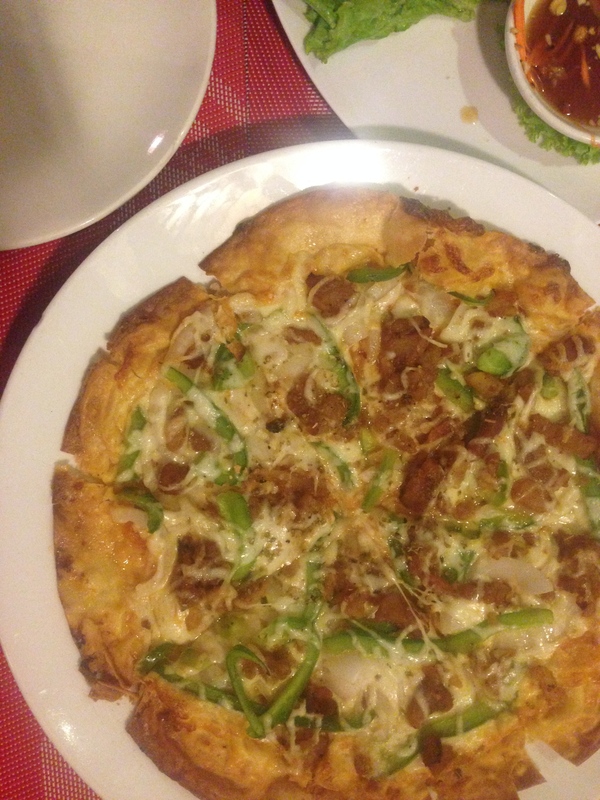 Especially eating at a place where it would be safe to eat the insects, AND it was delicious… it’s a win-win! 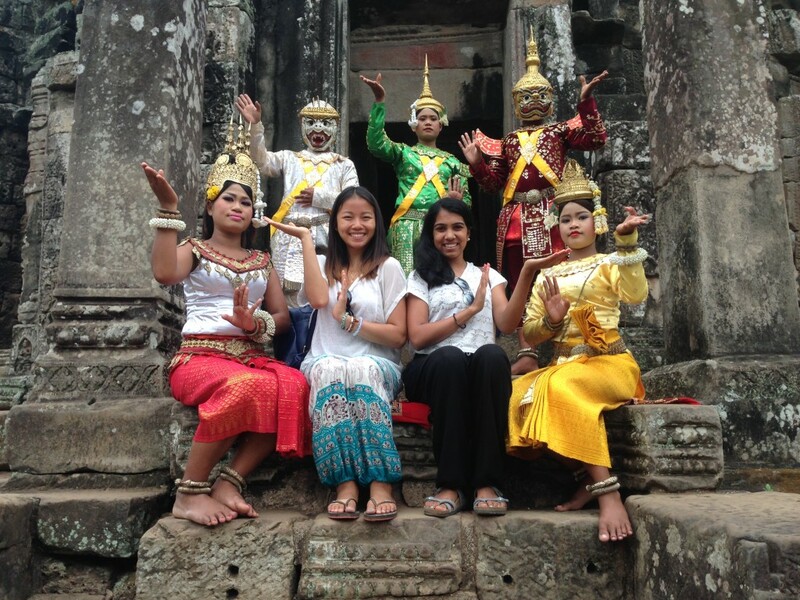 Later in the night we watched a traditional Cambodian Dance performance known as Apsara dance. I expected it to be a bit similar to the Kecak Fire Dance in Bali (If you haven’t read my Bali Blog, check it out here ) but it was quite different. For starters, there wasn’t as much fire, actually, no fire at all. There were various parts to the dance that symbolized and represented various aspects of the culture. Each part had a different type of music and costume to go along with it. It was a really nice way to end off the night with a true Cambodian experience. 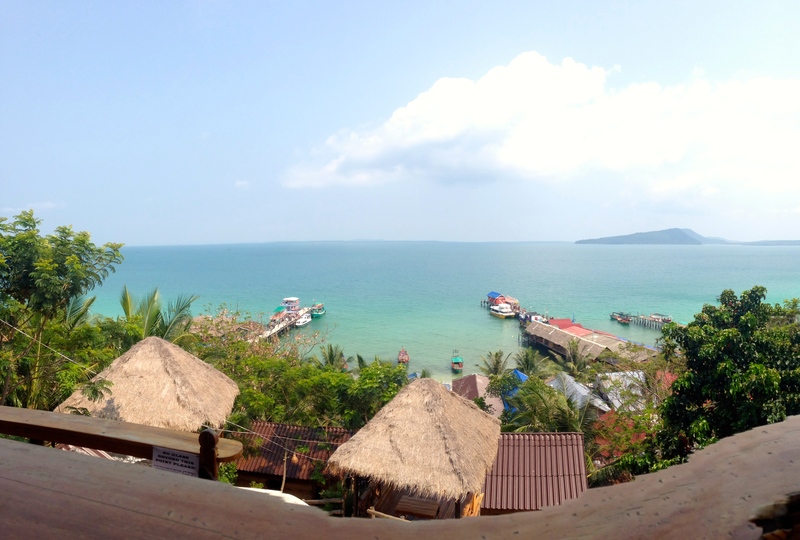 The final stop on our trip was the Island of Koh Rong! We had to take an overnight bus from Siem Reap back to Phnom Penh, and then a 6 hour day bus to Sihanoukville, and finally, a 45 minute ferry. After the long journey, we arrived on the lovely and seemingly untouched island of Koh Rong. Koh Rong is a beach town with a mix of locals and expats who run the Island. 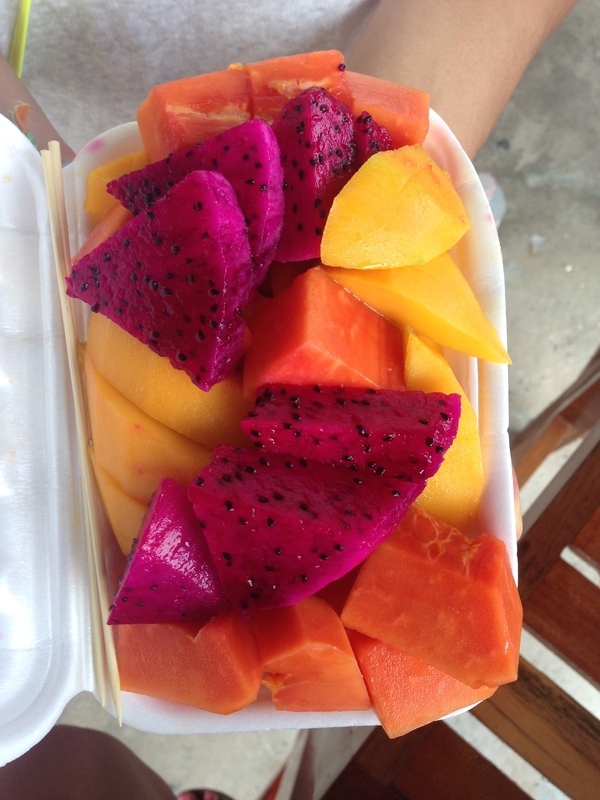 Aside from snorkelling, it’s mainly an island made for relaxing and eating. And relaxation is exactly what we needed. Especially because I hadn’t exactly taken the time yet to enjoy the beaches of South East Asia. The scenery of Koh Rong was incredible; crystal blue water, the whitest sand I’ve seen in my life, it was paradise! How could something Koh Rong look Koh Right? The next day, we planned a “nothing to do day.” I hadn’t experienced many of these days while being abroad, but you essentially have no agenda for the day and just relax and go with the flow. Much needed for sure. Sitting in the white sand, reading a book, drinking fresh cane sugar juice and swimming in the ocean is how we passed the time by, until it was time to say farewell to Koh Rong and get back on the ferry. One bus later, and we were back where we started. Literally: we ended up eating at the same Friends International restaurant from the first night because we loved it so much. With our bellies full, we grabbed a Tuk Tuk to the airport and said farewell to our Tomb Raider experience. 3 cities in 5 days is not something I thought I’d be able to do without being exhausted, but hey, we made it! And we had a blast. Cambodia was most certainly a trip that taught me a lot about religious culture, but more than that, it really reinforced the idea of how lucky I truly am. 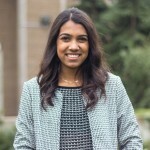 Not only experiencing exchange, but growing up in a place like Toronto, Canada, where people are so fortunate and don’t necessarily have to worry about things like orphan tourism, as much as they do in other, less fortunate countries. Visiting the Friends restaurant and store made me understand something my dad has always reinforced to me: that it’s important to help others whenever we can. Especially when we’ve been so lucky to be raised in a place where so many of us have so many things we take for granted. So, remember, lend a hand wherever you can and always stay humble. **UPDATE** Sadly after coming back from Cambodia, I ended up with food poisoning which SUCKED 🙁 (Read all about it here ) I’m not entirely sure what it could have been to be honest, but take this as just a friendly reminder that when you travel, always drink bottled, filtered water and be aware of what you’re eating.